It’s hard to believe it’s already August and our fishing season is in full swing! With our Tackle Grab shipment, we’re starting to feel like we have more baits than we can use in the time we have left this year. I take that back; you never really can have too many lures. 1 – Gambler Lures Duz-It – 6/O 1/8-oz. #4 nickel- available on the Gambler Lures website for $6.99. 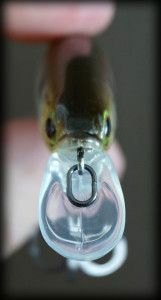 I already own several of these and they’re a new take on the swimbait hook. When you need to add just a little flash to your swimbait this is just the ticket. Anglers have been adding a blade to their swimbaits for years, and now Gambler makes it even easier and more economical to do so! A solid addition to any angler’s arsenal, no matter where you are. 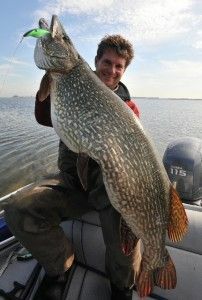 This will be deadly in northern latitudes late in the fall for bass, pike or musky. The Duz- it is also great for southern areas as well especially considering that it was developed by Gambler, a Florida based lure manufacturer. 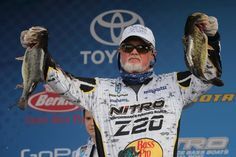 2 -Vicious Fishing 12-lb test (100 yards) – available on the Vicious Fishing website for $5.99. If you fish alot, then you’ll agree that line is extremely important. The opportunity to try out a different line without spending alot is great. 12lb test is a good all-round strength and can have many uses. Topwater, light presentations, or even as backing for braid; you can never have too much! 3 – Fishbelly 5″ Kick S Shads in K’s Pink – available on Tacklewarehouse’s website for US$6.79 for a 5-pk (prorated to 2.71 for a 2-pk). 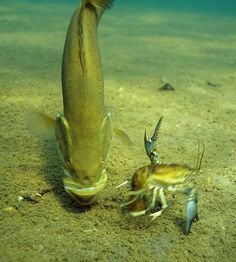 These look real cool and the oddly shaped paddle tail might come in handy for nother pike. I got a really bright pink colour that I will be using for fall bruisers. 4 – Lockett Lures Outlet 4-pk of Ring Lizards- available on the Lockett Lures Outlet website for $9.99 for a 25-pk (prorated to $1.60 for a 4-pk). I had the opportunity to try out Lockett Lures Outlet’s (LLO) 4″ sticks last month and was really impressed with this bait company. I was really happy to see more of their baits in this box. These small lizards reek of anise (a good thing) and will do well on a finesse presentation when the bite is tough. 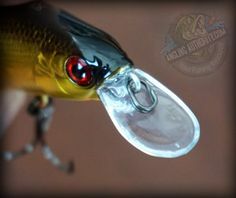 5 – Evolve Nervous Walker Frog – available on the Tacklewarehouse website for $5.99. I’m a fan of topwater frogging and this will definitely be a cool addition to my frog arsenal. This frog has a white belly and has a bright green back. I’d really throw this frog on a sunny day and into heavy surface vegetation. This frog also has internal rattles; very cool! This will enhance the frog’s effectiveness in murky water or in heavy junk. With the extra rattles your prey is much more likely to zero in on your offering. 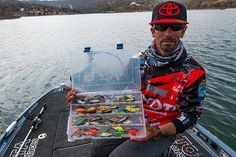 Total box value =US $23.28 + 150 Tackle Grab points (which can be redeemed for up to $10.50 off future orders from Tackle Grab). At this point, we’ve racked up about 1900 points since February, so I’m starting a wish list to order some more stuff from the Tackle Grab store. Stay tuned for our update on the August shipment (ETA – 4th week of August/1st week of September)!